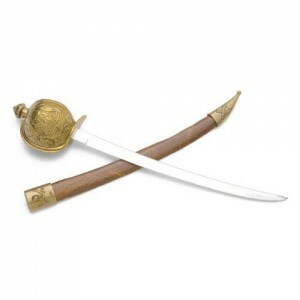 Pirate Cutlass Letter Opener. 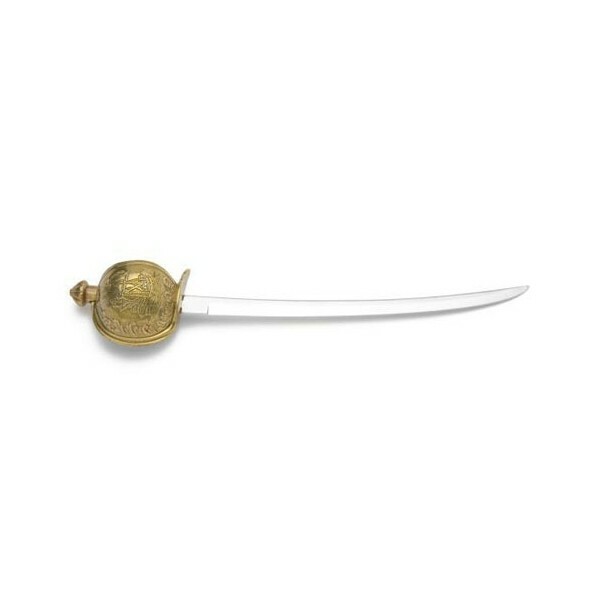 This is a minature replica of the classic brass decorator model featuring a galleon engraved on the full bowl hand guard. 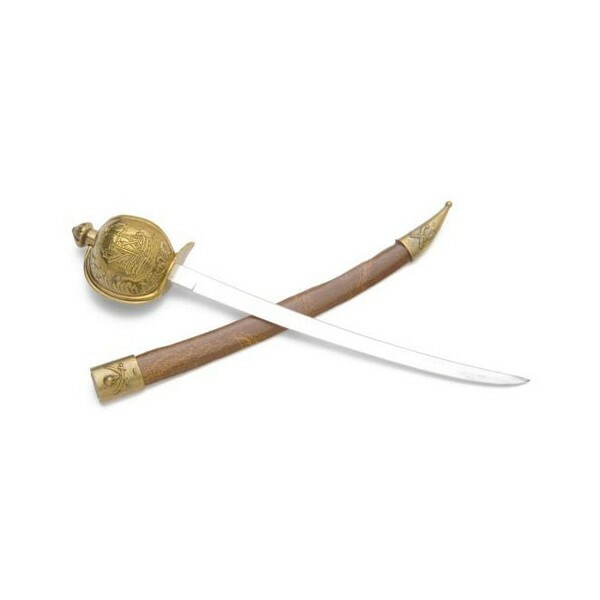 The scabbard is embossed with skull with crossed sabers & crossed flintlocks pistols. Makes a unique gift.